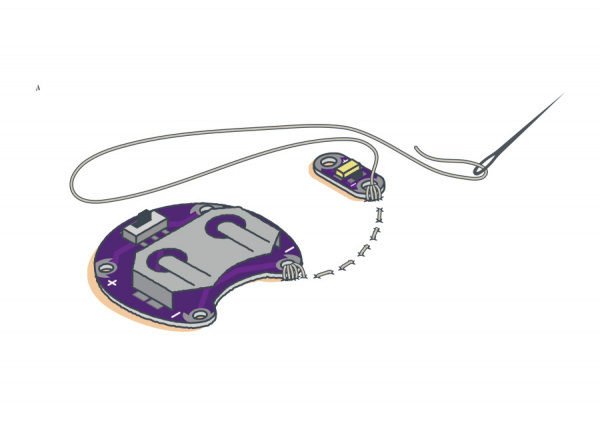 The examples in this tutorial will walk through creating a hand sewn conductive thread circuit connecting a LilyPad Coin Cell Battery Holder to LilyPad LEDs. 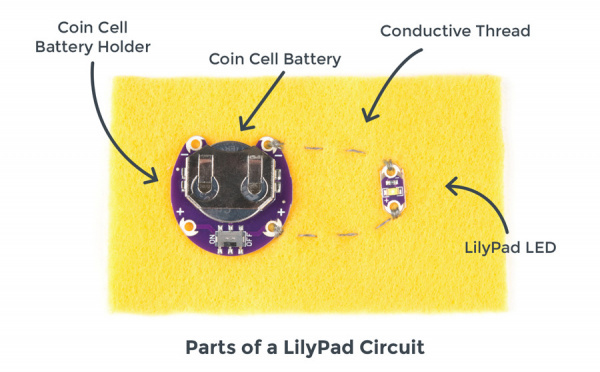 These techniques will be useful for connecting any LilyPad pieces together. 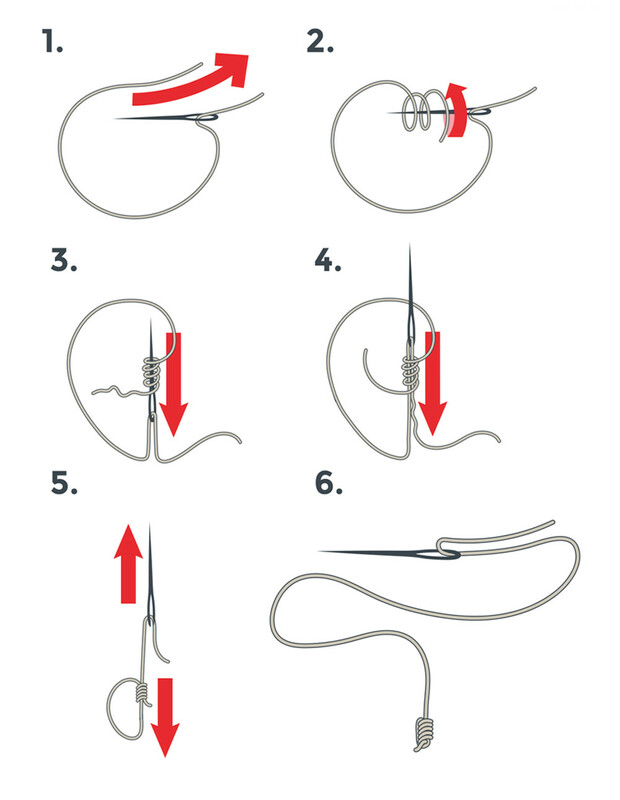 Push the needle through the fabric about 1/4" in the direction of your stitch path. 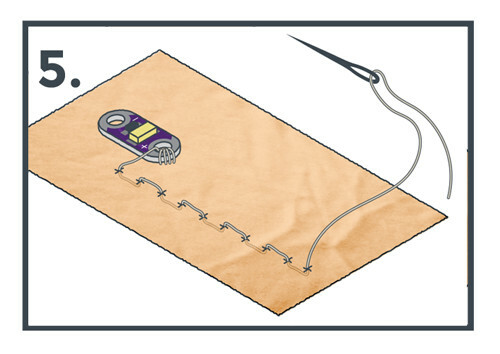 Push the needle back up through the fabric another 1/4" along the stitch path. 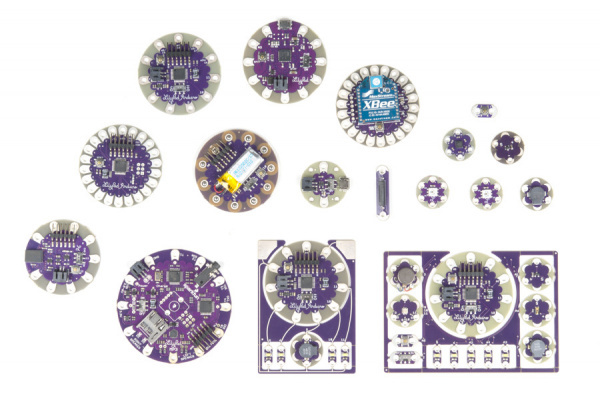 Or continue on to Project 1: Glowing Pin of the LilyPad Sewable Electronics Kit to build your own circuit. 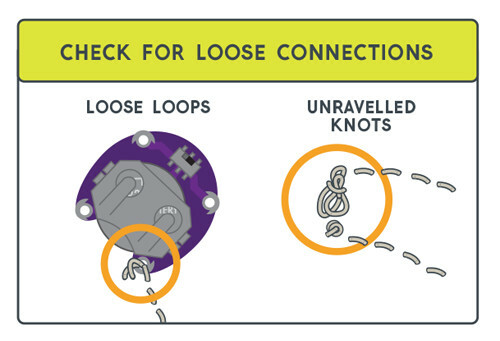 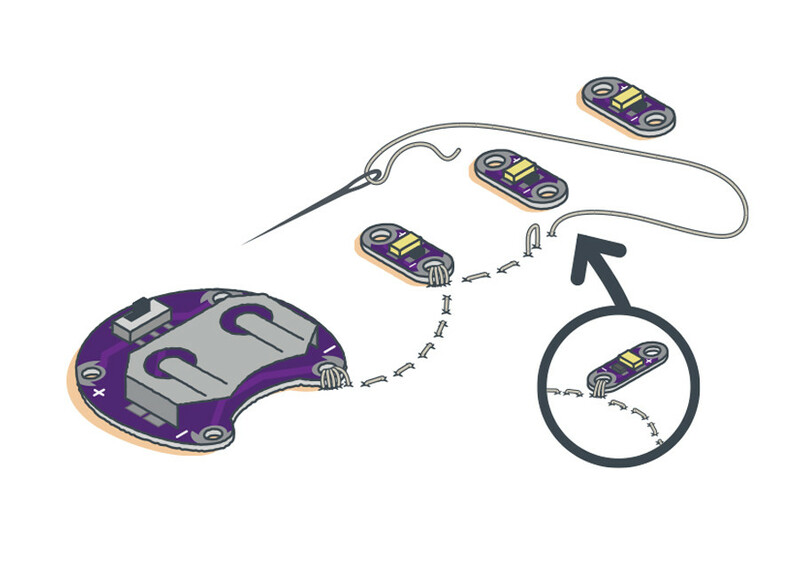 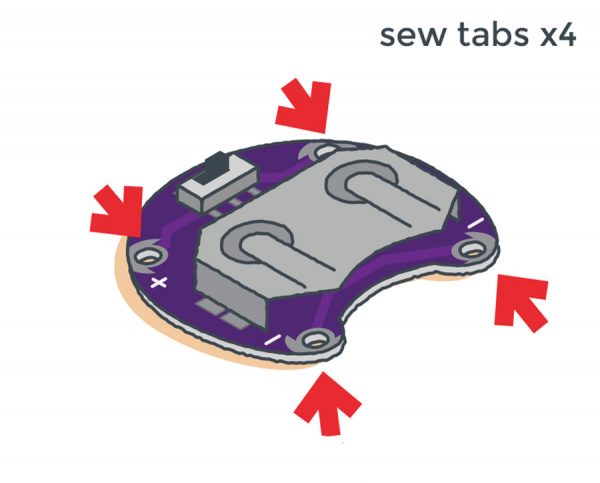 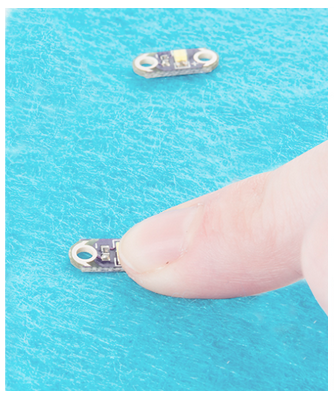 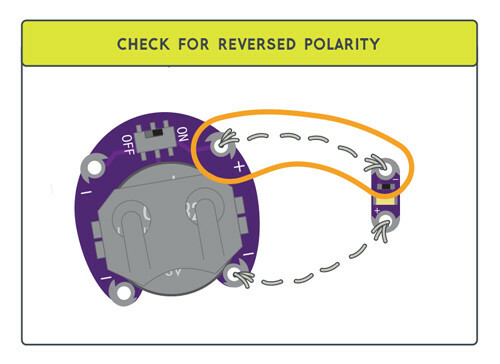 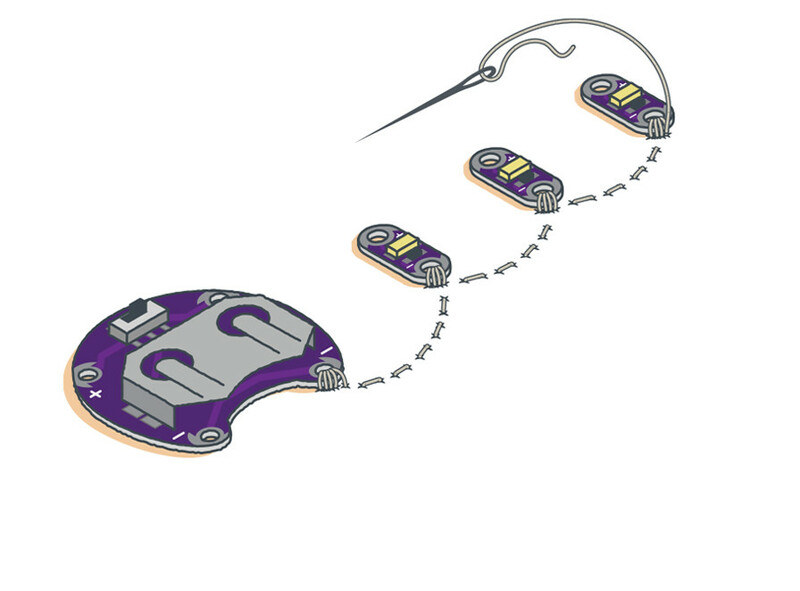 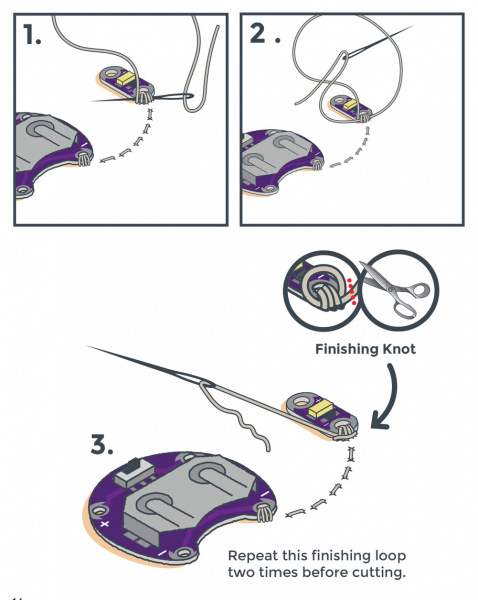 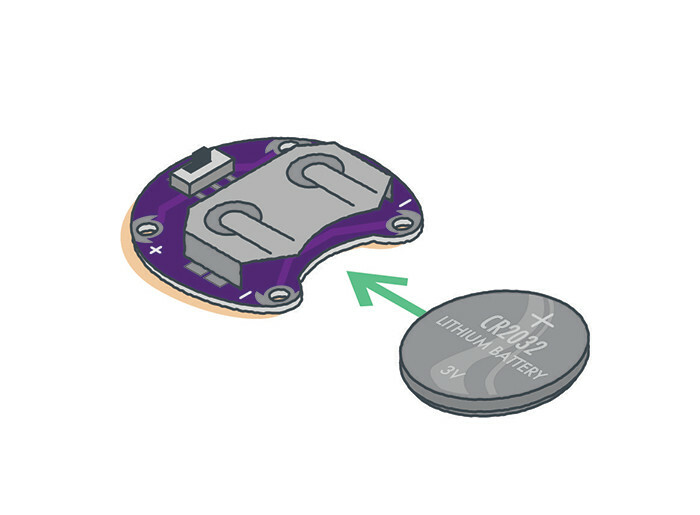 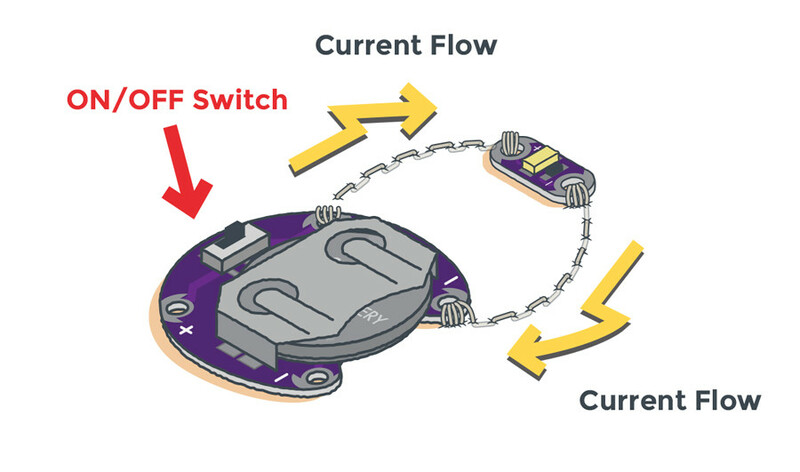 If the conductive thread is not making a tight connection to the LilyPad piece's sew tabs, current will not be able to flow through consistently. 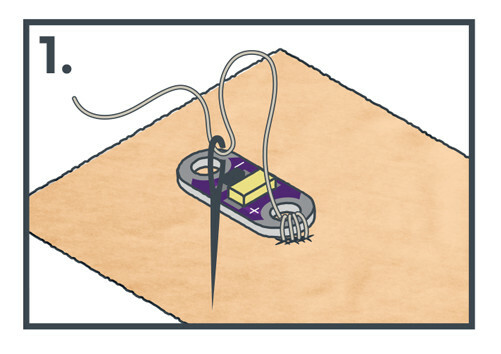 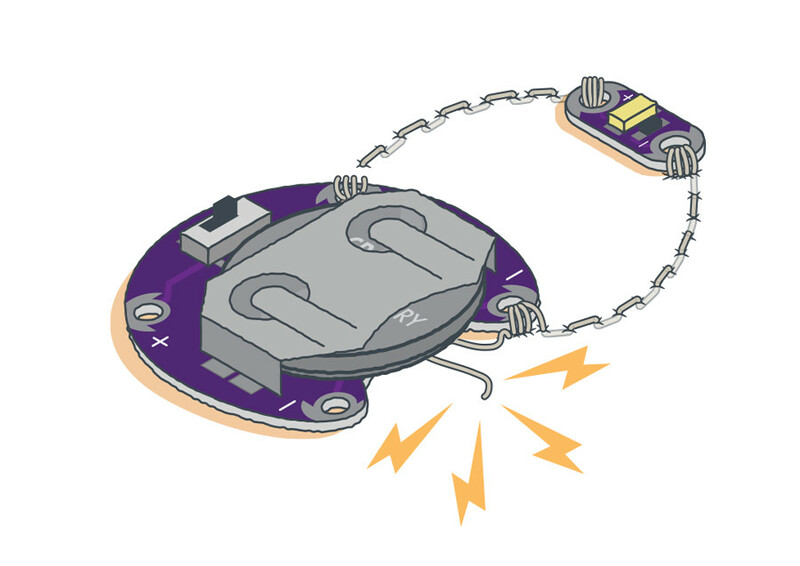 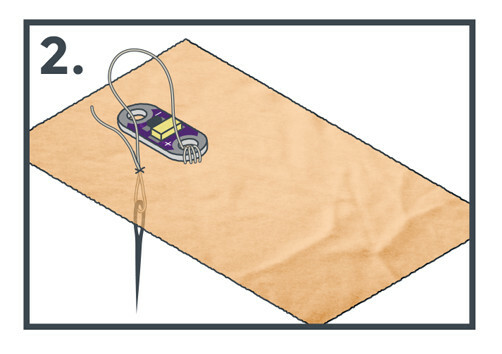 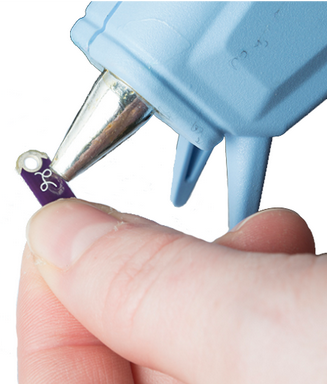 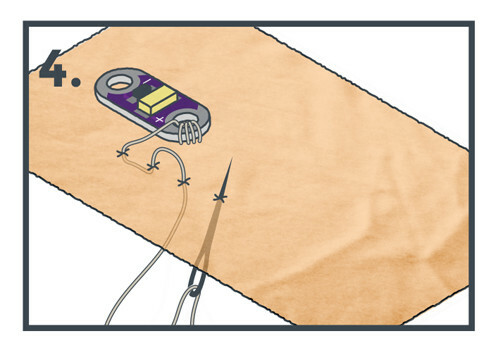 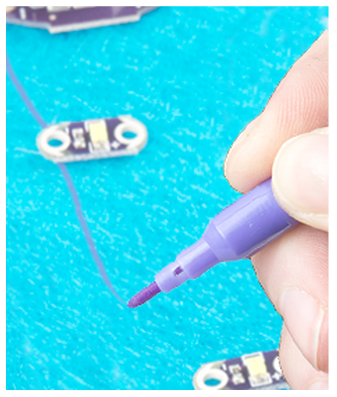 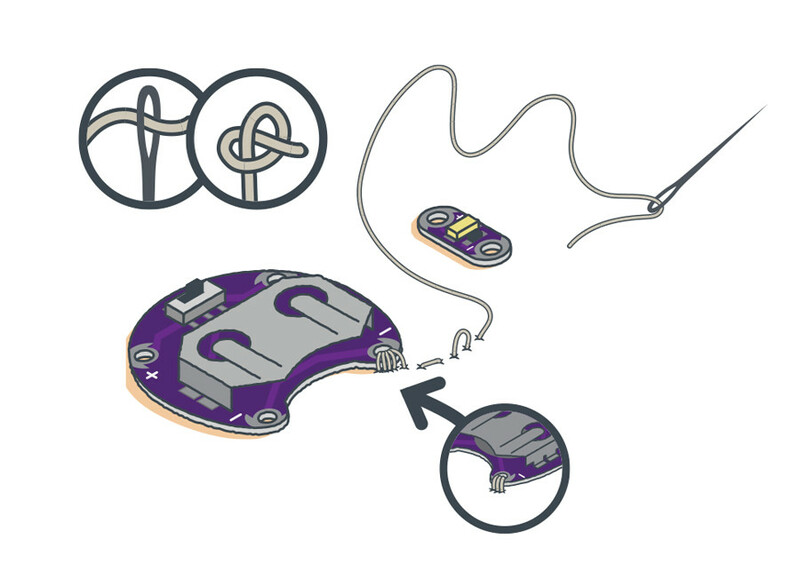 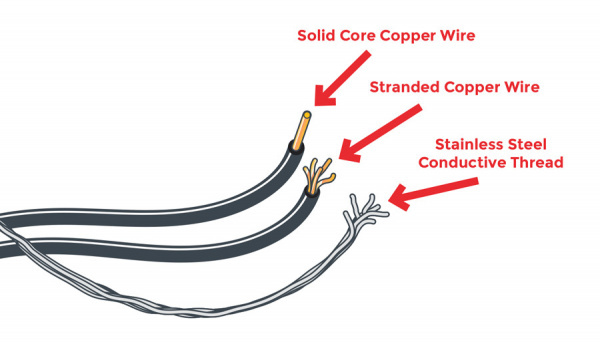 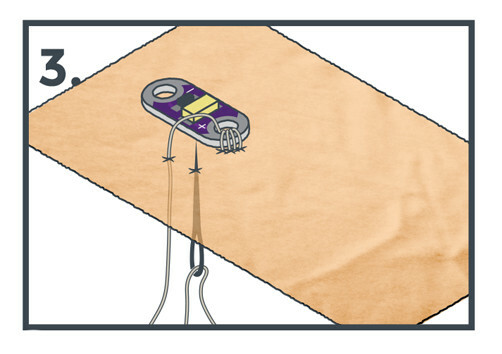 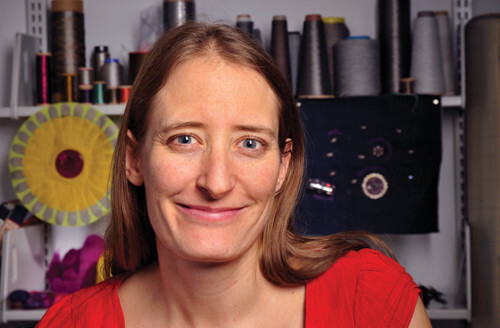 If the project moves, the conductive thread may pull away from the sew tab and disconnect the circuit. 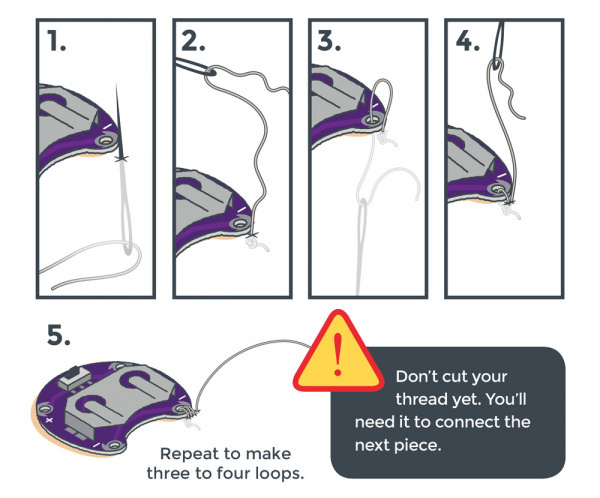 To fix, pull stitching tight with tweezers or a needle if possible. 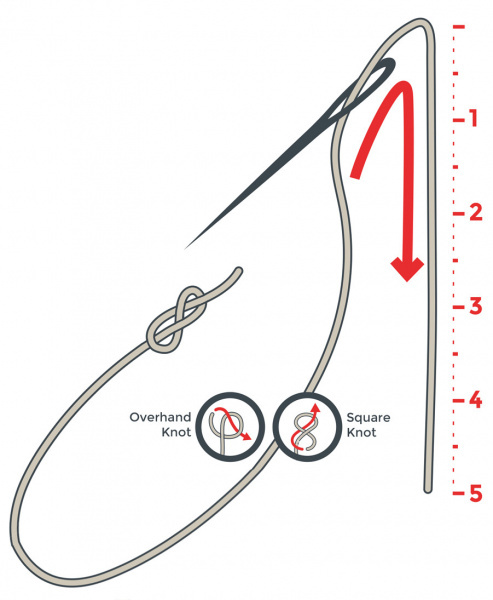 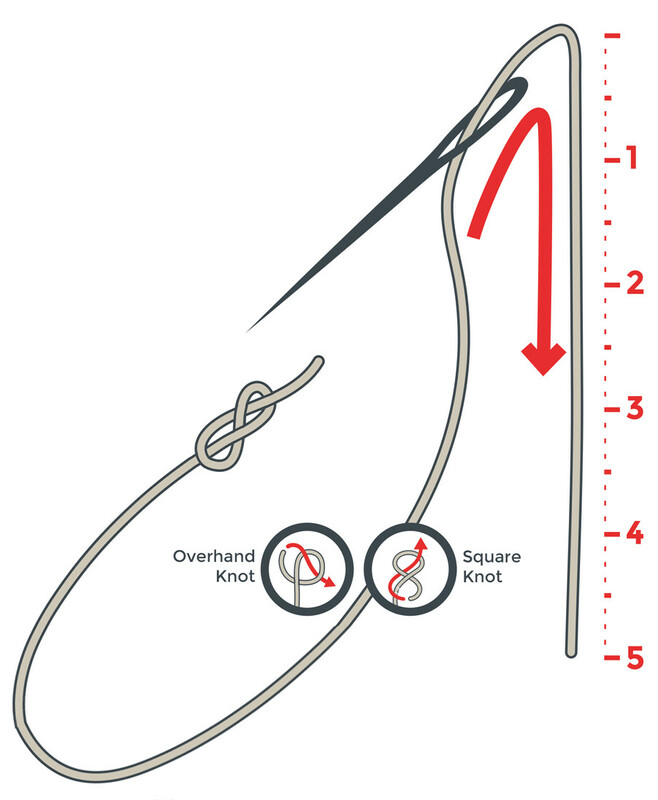 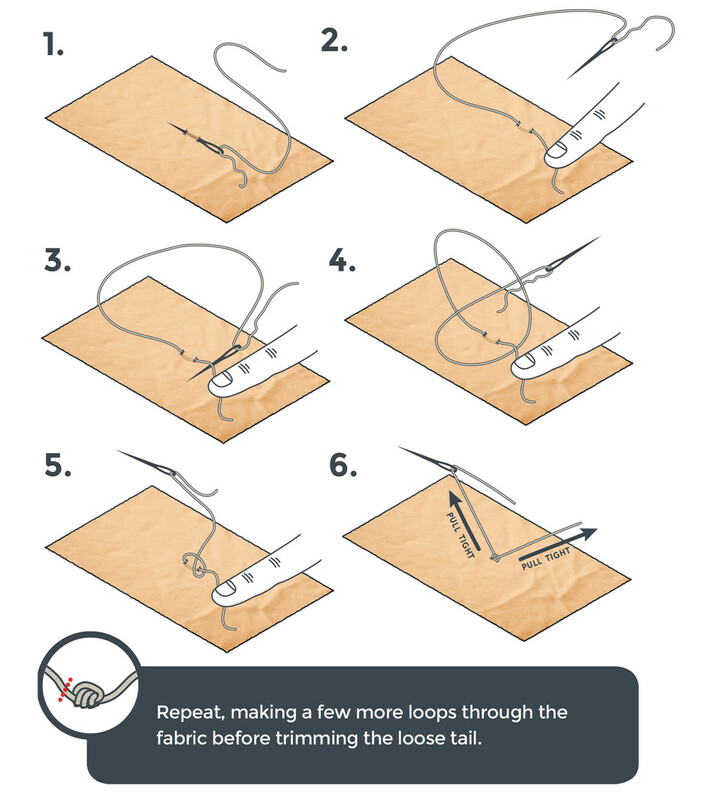 You may also sew over the top of existing thread to create more tension and hold the thread securely to a sew tab.